Muskerry News | New running trail for Blarney. 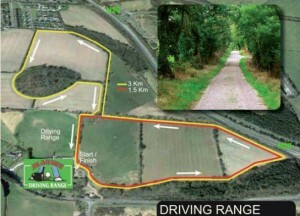 New running trail for Blarney. Are you among the hundreds of people who have been for a walk or run at the newly opened Castleview walking and running trail at Blarney driving range? Fabulous trail with incredible views of the village and beyond, followed by a lovely cup of coffee at the tea box. Open every day (except Monday) from 9am. Just perfect!